The Rock Hercules Workout is designed to transform Dwayne Johnson into Hercules. The Rock Hercules workout is a 6 day routine that hits only his legs twice. By far, the funniest part of The Rock Hercules workout is that he constantly shouts “Focus” throughout the Instagram posts you’ll find below. The Rock Hercules workout was 6 months of weight training, diet and conditioning. The Rock Hercules Workout is based on the information he reveals on his Twitter and Instagram feeds, as well as, information from his workouts with bodybuilder, friend and coach: George Farah. 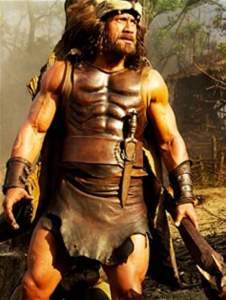 The Rock Hercules workout for Hercules: The Thracian Wars uses a 6 days on/1 day off routine to get him ready for the 12 Labors of Hercules. The Rock Hercules Workout Monday Routine starts with early morning cardio, before his first meal. After eating, The Rock Hercules workout focuses on his chest today. The Rock also does some ab work for Hercules three times per week. Rollin out of bed. AM cardio on an empty stomach. Lets do 40min steady state w/ average heart rate of 135-150. The Rock Hercules workout starts with a chest workout every week. He follows that up with a leg workout, and does 2 leg workouts per week. You need big legs to pull off the 12 Labors of Hercules. The chest and legs are the two most prominent areas of the body that The Rock focused on for Hercules. The Rock Hercules workout for chest day sees the Rock work his way up to 40kg dumbbells. For the cable flys and dips, go to failure for 3 sets. The Rock Hercules workout uses a pyramid for the Dumbbell Incline Press and Chest Flys. For The Rock Hercules workout, you pyramid up in weight each set. A pyramid routine aims for maximum muscle gains through progressive overload. This type of pyramid workout allows The Rock to challenge himself each rep. The Rock tries to start his pyramid sets around 12 reps, and end doing at least 6 reps. The 8-12 rep range is ideal for muscle building, while 6 at a heavy weight is best for strength. I do steady state cardio for about 45 to 50 minutes at my home gym. Or, I might hit the road out in the neighborhood. And then, I’ll go train. Leg Press. 2 warm up sets. 3 working sets. 50 reps per set. Triple drop set for 3rd and final set. Yes, this sh$% is designed to burn. Badly. One legged hack squat machine lunge. Slow tempo: 2 seconds down, 2 second pause at the bottom of movement, 2 seconds up. Rep Range: Failure. See The Rock Instagram Leg Presses for a picture of The Rock workout in action. The Rock also calls the Smith Leg Machines Lunges: (one legged hack squat lunges). For the Smith Machine Lunges, The Rock Hercules workout uses a slow tempo 2 seconds down, 2 seconds pause at the bottom, 2 seconds up routine. He joked on a July 19th Instagram that under no condition should you stare at a stranger while doing the Leg Abductor. The Rock had a knee injury in college while playing at Miami, so he avoids squats. The Rock uses Seated Leg Presses, Lying Leg Curls and Smith Machine Lunges instead. Some Instagram posts reveal that The Rock would split between calve raises and ab work each workout. This is because both the abs and calves are small muscle groups. 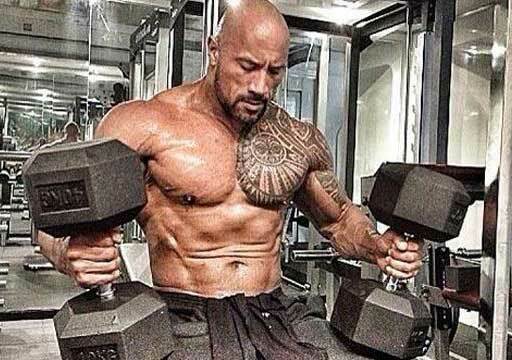 The Rock learned from his trainer George Farah, that it is better to work small muscle groups more frequently, if you want to see improvement. Is the workouts correct because the first day says chest/shoulders but is chest an abs and on the back day there are calf exercises. Also what is a drop set 2x. Thanks-I’ve fixed it to say “Chest & Abs.” The Rock says he does abs 3 times per week and calf raises on the other 3 days. So, you alternate between the two each workout. The reason that The Rock Hercules workout incorporates so many calf exercises is because of his trainer’s theory that you really need to work them often to get them bigger. (Lifting a small muscle often is better than lifting it really heavy and immediately being fatigued). Drop sets are where you continue an exercise by lowering the amount of weight you’re using. Say you were using 40 lbs. dumbbells for an exercise. The first drop set, you would drop down to 35 pounds and go till failure. After a minute, do a 2nd drop set with 30 pound dumbbells, again going to failure. Drop sets allow you to reach maximum muscle fatigue by allowing you to keep going, when normally you would have quit much earlier. Yes, the Rock Hercules diet is meant to help you lose weight and gain muscle. You may have to make some modifications to make it work for you. Reduce the amount of calories in the lean protein, so that you’re only eating .7g-1g of protein per pound of your lean body weight. (We don’t count our body fat when calculating how much protein to eat per day). Instead of white rice, which is high on the glycemic index, I suggest brown rice. Brown rice has more fiber. If you’re still gaining weight with brown rice, I would even suggest something like quinoa instead. You may also not need 7 meals per day, if your activity levels don’t match The Rock Hercules activity levels. The key to losing weight is that 50 minutes of cardio first thing in the morning. I know getting up and doing cardio first thing in the morning is tough. But, that is the key to this workout. Your body burns more fat first thing in the morning, than any other time. Research a “pre-workout” supplement if you need added motivation to train first thing in the morning. Start slow, progress each week! whats weight should i play for chest first if i weigh 68 kilo ( 149 lbs) …and how much protein shall i take ?……. I answered the first part of your question on the other Rock workout. Tailor your diet by eating the right amount of protein for your bodyweight. You always want to eat your protein combined with a starchy vegetable and a fibrous vegetable. Find out how much protein is right for you. Guidelines for eating the proper amount of protein, while bodybuilding, are that you should eat 1.8 grams of protein per kg, or .8 grams of protein per pound. Note that these guidelines are for lean body mass, don’t include excess fat you may have in your lean bodyweight calculations. So, a 100 (kg) person (of lean bodyweight) should be eating 180 grams of protein. A 100 (pound) person should be eating 80 grams of protein. Eating 7 meals a day, a 100 (kg) person would want to eat 25 grams of protein per meal. Eating 7 meals a day, a 100 (pound) person would want to eat 12 grams of protein per meal. Furthermore , i have trained for about 3 months …but my chest doesnt seem bigger , and i just want to know how to play it properly. 70%-80% of your body composition is diet. If you’re training hard, but not following the Rock Hercules diet, then you’re not going to gain. Make sure the diet you consume is just as important as your weight training. I am a female in my late twenties. I am looking to loose fat and weight and build strength & endurance. I was considering Animal Cuts as my pre workout thermogenic and Animal Pak as my multivitamin. Animal Pak has some Creatine(amino acid complex) in it so should I take it post workout or should I take Creatine separately after my protein shake. Will the Animal brand be good for a female, I am aiming for a good athletic and high intensity training but not bulking up. Yea, you can't go wrong with the Animal Brand. I use Animal Pak and Animal Pump. I haven't tried Animal Cuts, because I love the taste and feeling I get from Cellucor's C4 (Strawberry Margarita). But, it does look like Animal Cuts has some good stuff in it. I'm not to keen on the green coffee extract, but otherwise it looks great. Animal Pump- Of all the supplements I've tried, Animal Pump has given me the best results. This is the one that has creatine, NO Blast and BCAA's. You take it 30-45 minutes before a workout. Your ability to perform will totally be enhanced with this product. I totally feel stronger, and I am certain I lift more with this product. This has your daily serving of creatine. I like taking it pre-workout, because I feel so much stronger. Don't take the whole package, try half at first. Animal Pak- This is the multivitamin. I take it right now, but only once every few days. You don't get any benefit from taking more than just the vitamins you need. Animal Pak is way beyond the dose you need. So, I only take half a pack, instead of the 2 suggested. Don't worry about supplements bulking you up. They will only help you with the goals you describe. Bulking up will only happen if you're constantly eating protein and carbs (like the Rock Hercules diet does). Bulking up happens from overfeeding your body. Experiment with these supplements to find that range where you feel great, but aren't overdoing it on the vitamins. Good Luck! Just wanted to say thanks for your previous Rock workout & diet routine. I did it for 3 months last year and it kicked my a$$! I definitely saw results last time so I wanted to tackle the Rock’s Hercules routine for the next 3-4 months. A couple of questions regarding the leg day routine. 1.The Instagram pics/vids show the Rock doing both abductors & adductors. I’m assuming those are done on both days? (Only abductors are shown in the routine on your site). 2. What do Romanian Deadlifts work? Are they the same as straight-legged Deadlifts? 3. If Saturday’s routine is the heavier leg day, should the reps decrease? 4. Unless otherwise specified, a pyramid system is used (lighter weight to heavier weight), is this a 6-set pyramid like chest or a 3-set pyramid? 5. Is doing hack-lunges & then later walking lunges a little redundant? 6. On shoulder day, are those 4 sets a pyramid also, or whatever weight that can be used for 10-12 reps? 7. On back day, what’s the difference between wide-grip Pulldowns and normal-grip Pulldowns? Are normal-grip narrow or reverse grip? 8. What’s the drop-set 2x? Thanks again for all of your hard work and dedication. I’m glad you’re back for Part 2: The Rock Hercules workout. Some aspects you’ll find the same, while there are some twists. As you can see, I dedicated a lengthy amount of time to translating everything The Rock has said on Twitter/Instagram into the Hercules workout. 1. I only saw him doing abductors. The Rock tore his adductor 2-3 months before training for the Hercules movie. Good catch, I’ll have to add adductors to the workout. 2. Romanian deadlifts stretch your hamstrings a bit more. It’s more with the hips and less with the back. Instead of having straight knees, you bend them a tiny bit. The link there is to a video that explains the exercise. The Rock really wanted to work his legs every way he could to become the Hercules he envisioned. This exercise helps build bigger hamstrings. But, if you’re more comfortable with stiff-legged, feel free to stick to them. 3. It makes sense that you would drop down in reps for the heavier day. Go ahead and do that. However, my hands are tied because I can only rely on what The Rock has posted on Twitter about his leg workouts. He hasn’t told us if his reps go down on Saturday (just that he lifts heavier to finish off the week strong). He did say that Tuesday is more “high frequency” so we could easily infer that the reps go down on Saturday. But, until I have a tangible source I’m going to stick to what he posted. Hopefully, we’ll learn more as he begins talking about the workout to promote his movie, Hercules. Go ahead and lower reps for Saturday, as it makes sense. 4. Not sure which exercise you’re referencing. I think: Stick the the 6-set pyramid like chest. 5. I agree this sounds a bit redundant. But, The Rock really wanted his workout to be about the 12 Labors of Hercules. The Rock envisioned Hercules having massive legs due to all the work during his 12 Labors. Therefore, The Rock is going to do everything he can (except squats due to a college injury) to work his legs. From a technical perspective, use the hack-lunges to go real heavy. Then, the walking lunges are more of a ‘finisher’ to make sure you’ve exhausted every bit of muscle fiber in your legs. 6. No pyramids on shoulder day. Just whatever weight you can lift 10-12 till failure. What I’ve learned from The Rock workouts is that he works the large muscle groups of his body with heavier and heavier weight. This challenges those large muscle groups, along with the supporting muscle groups to exhaustion. It takes awhile to get there. With the smaller muscle groups, The Rock likes to lift lighter, but do more sets. 7. Since you’re a graduate of The Rock workout, it’s as simple as sticking to what you did there. Yes, normal grip is that narrow grip you use. So, do the wide-grip pulldowns, and then the narrow-grip pulldowns. This will work the higher, and then the lower, parts of your lats. 8. 2x Drop set means to do two sets at lower weights. This is where you finish the exercise, then move down to a lower weight. Go to failure at a lower weight. Then, drop to an even lower weight. Don’t rest until the end. Appreciate the feedback! I’ll continue to monitor The Rock’s Twitter/Instagram, as well as, any magazines that talk about his workout for Hercules. If anyone sees anything, as well, feel free to update us. Could you answer a couple of the dieting questions too? What kind of beef cut is steak fillet? Do you think having it twice a day is too much red meat? What’s your opinion on white rice? Is there a benefit vs. brown rice? How about baked potato vs. sweet potato? Any other fish besides halibut? Steak fillet is usually tenderloin. You will often see it sold as sirloin. Technically, it is a cut without the bone. You just want to make sure it is lean meat that you’re eating (not a fatty section). Eating red meat twice a day in the short term is fine. If you’re doing this as a 3 month program to get in the best shape of your life, you’re fine. Dieting this way longer term may have some more considerations. Brown rice is better than white rice. Sweet potato is better than baked potato. In both cases, the darker colored pigments tell you the carbs are better for you. The darker the pigment, the lower the GI. The lower the GI, the better the carb is at keeping at off your body. Opt for the darker colors to lose weight. I was surprised The Rock is eating white rice for Hercules. Maybe he needed more energy, more quickly. If you feel you need more energy, and your body reacts ok to white carbs, then go for it. This may require some experimentation, and is up to the individual. It’s hard to find good fish these days. In addition to halibut, your best choices are fresh tuna and wild salmon. Most fish being sold these days is farmed. Farmed fish are exposed to more toxins, and have way less omega 3s. I get my fish (via Trader Joes), but I realize not everyone lives next to one. Depending on where you live, it may be hard to find a good place that sells wild fish. You really have to look on the label. I once bought wild tilapia, only to read the fine print that it came from China. I don’t trust that it was actually wild (or healthy) if it came from China. So, the key is to do some research on where to buy the best fish in your area. Cod, tuna, halibut, and salmon are the best choices. Brown rice has more nutrition in it’s outer kernel that white rice. Brown rice has selenium (for cell protection) and Magnesium (for healthy muscle, bones, and recovery). I also take ZMA to help recover from tough workouts. I know that white rice and baked potatoes taste better, but that is because your body is conditioned to desire the easiest to obtain (but fat promoting) calories. Fish is amazing because of the omega 3s. This is a heart-healthy, brain-healthy fat that is missing from most Western diets. Because animals are now raised on corn and soy (often GMO), instead of grass, we no longer get omega 3s from eating meat. This is an aspect of why you see so much memory and heart disease occurring in Western cultures. Eating more omega 3-rich foods will get your blood pumping faster, your mood better, and your focus more intense for the 12 Labors of Hercules in front of you. I do my cardio on an empty stomach (only take my BCAAs) from 5am-6am. However, I can’t lift weights until 9am. Think I should eat right after cardio & then again at 8:30 just prior to hitting the iron? Or just once somewhere in between. I also eat at 10:30am, 12:30pm, 2:30pm, 4:30pm, 7:00pm, and 10:00pm. Tons of food, but I didn’t know if eating right after cardio was a good thing or is it better to wait a little. Yes, eat a half hour after cardio. That will line up perfectly. 6:30 and 8:30 are the right times. If you’re gaining too much, consider dropping the 10:00PM meal. Also, I found a really cool tool that measures BMR/caloric intake. Put in your age, height, and weight, then find your BMR (Basic Metabolic Rate). Use your BMR to calculate your Harris Benedict caloric intake. This tells you how many calories you need to maintain your body weight. Multiply your maintenance caloric intake by 15% (1.15) if you want to gain weight. Multiply your maintenance caloric intake by (.85) if you want to lose weight. Hey there for fat loss you say the best is to do cardio in the morning before breakfast. Will this depress your muscle loss? Could you eat some protein breakfast wait 1 hour then do cardio and weights? Or could you do cardio then hilts lifting weights take. BCAA to aid in muscle retention? If you don’t follow his diet will u end up losing fat or just muscle cheers! Yes, the best time to do cardio is first thing in the morning on an empty stomach. Your body is more likely to burn fat, as there’s not a readily available supply of glycogen. You want to take a BCAA supplement to make sure that your body doesn’t break down muscle. The Rock would often eat after doing cardio. Then, he would do weights. Bodybuilders often do their early morning cardio, eat a few meals, then workout with weights in the early afternoon. This is the ideal schedule. But, our busy lives often prevent us from having all day to train. 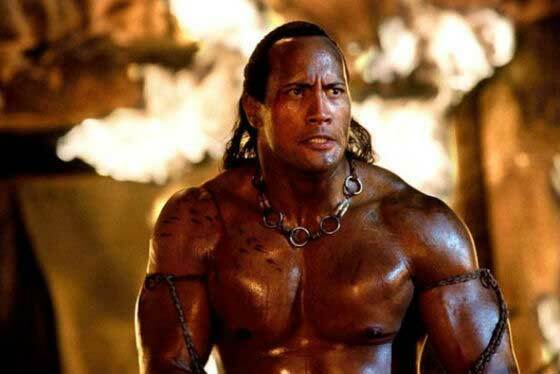 When the Rock was filming Hercules, he had to get everything done in the morning. I’m not sure how eating a protein breakfast first will affect you. I suggest trying it The Rock’s way of training for a few weeks. If you don’t like it, then try it your way. Find what is best for your body. If you don’t follow The Rock’s diet, then your body composition will be the result of whatever it is you eat. You don’t have to eat as much as The Rock, but I suggest embracing it for a few weeks to see how it works for you. 1. The third set for leg presses requires drop set 3x, right? 2. EACH back workout after the first superset requires a drop set 2x? 3. Not sure if it was a typo, but is the pull up to pull down superset, 4 or 5 sets? 1. Yes, I should add the drop set 3x into the description. I though just adding the quote would allow users who know what drop sets are to pick up on it. But, I should definitely make it more clear for everyone. 2. Yes, each exercise requires a drop set. The back is a huge muscle group, so you want the last set of each exercise to be followed with a drop set 2x. 3. No typo that I’m aware of. 4 sets based on The Rock’s twitter post. Thanks for the questions. It helps me to know where to make things more clear. I will update the workout a bit based on your comments. Can we add drop set x2 on the last set of each exercise , when you train the other musclegroup as well? Yes, you can do drop sets on the last set of any exercise you want. Mostly, it just comes down to how much time you have in the gym. Experiment with drop sets on exercises where you feel “you still have some left in the tank” and want to do more. It is best to do drop sets on compound exercises (where you’re working multiple muscle groups) or the larger muscle groups. For example, The Rock Hercules workout does most of his drop sets on back day. This is because the back is your 2nd largest muscle group, and it takes a lot to get a good workout there. Does the rock do cardio in the morning, because he want to burn fat? Yes, The Rock does his cardio in the morning. Early morning cardio, on an empty stomach, is the best way to burn fat. When you sleep, your body converts fat into fatty acids that power your brain and vital functions. So, if you do cardio right away, you burn those fatty acids. Doing cardio later in the day, after you’ve ate, is harder to burn fat. Your body will first use the glucose from all the food you have ate. Do you have a good bodyweight program for strength? I haven’t a gym membership, so i want a good bodyweight program, to get some muscle and get a little bit more shredded? The most popular at-home programs are P90X, Insanity and BodyBeast. If you’re looking for a free, bodyweight program then check out the Bodyweight 12 Minute Upper Body Routine. Use 2 stable surfaces at home, if you don’t want to buy a dip equalizer for that chest workout. Also, I’m planning on uploading more bodyweight workouts this month, so stay tuned for that! I can only workout in the afternoons. Would it be best to do cardio before or after lifting? I would emphasize that it’s important to work out first thing in the morning on an empty stomach, if you want to optimize fat burning. It has really worked for me. You end up burning more fatty acids than glycogen, which speeds up fat burning. But, if you’re gonna workout in the afternoon, then do your lifting followed by cardio. Your cardio should involve more HIIT than low-interval training. Make sure to eat carbs/protein 30 min before your workout. Drink a shake or take BCAA’s pre and post-workout. Thank you for good answers, i really looking forward to the new bodyweight programs. Is there a reason why The Rock works out one body part per week vs a routine where he could couple chest + bic, repeating every third day (72 hrs rest). I am comparing this with Arnold Schwarzenegger who took 48 hour rest periods during Mr. Olympia training and 72 hour rest training between body parts otherwise. Do I understand correctly that The Rock only works out a body part once per week only? For Hercules, The Rock focused on his legs. Legs are the only thing he trains more than once per week. He does a heavier workout on Tuesday, then a higher frequency workout on Saturday to finish them off. He also works his calves on multiple days. The reason he uses this split is that his goal was to look like Hercules. For The Rock, this means having strong enough legs to perform the 12 Labors. You may be interested in the workout The Rock used for Pain & Gain, which has a more traditional split. does he do shoulders I didn’t see one for that? Yes, The Rock Hercules Workouts uses Thursdays for shoulders. Navigate to Pg. 2 (orange buttons around the middle of any page) to check it out! Only your doctor can tell you for sure. But, 15 is the age I started lifting. I was 5’9. 3 years later, I was 6’2. So, my growth plates were fine. Stick to the rep range of 12-15 reps.
Make sure you use proper form. Dropping a weight directly on your growth plates is the only major concern I can think of. If you’re really worried, then stick to bodyweight exercises. But, the data shows that weightlifting is fine once people hit the age range of 9-12. Hi i am from your fans chris davis and thanks for the workout. i want to ask you a question has no relation to this workout. i was working out fine for like 3 years and i had the inspiration and motivation to keep up. but now i have no inspiration ,working out and reading about muscles is now very boring to me only thinking that i am going to work out makes me feel sick. i am i have not workout for 3 months till now and iam really in complete destruction even my diet is like only 3 meals a day and i dont care what is in this meals. so please help me if you can and if you can t then fine i know its not your job.thanks for everything. Write down your Top #3 goals in life. If improving your body isn’t on that list, then maybe there are more important things going on. If you do want to improve your body, then it sounds like you’re just lacking motivation. That’s something we all go through, especially this time of year. I suggest taking a pre-workout. I take Cellucor C4 Extreme (Strawberry Margarita or Watermelon). It motivates me to get out of bed, drink something powerful, and head to the gym. Get your cardio/weights done first thing in the morning. It will make you feel better, and then you have the rest of the day to dedicate to your other goals. Is it a long time to the bodyweight program coming out on this page ? I will be putting up more soon. This week or next. They won’t be on this page. Check the Home Page for the latest bodyweight workouts. Also, you can navigate to the bodyweight workouts page. I may have overlooked it, but I cannot find The Rock’s diet plan for Hercules. Thanks in advance for you help. The Hercules diet plan is on page 2. There’s an orange button below the pic of the treadmill that can get you there. Hey Chris I have a question according to George Farah the most carbs to eat a day is 300grams or 400 grams. But I’ve heard from other trainers that you multiply your total amount of protein intake by 2. Also would 7 meals be appropriate or would 6 be okay? 6 meals is okay, as long as you’re getting the calories you need. The best place to start is to use the formulas that nutritionists use. To figure out exactly how many calories a person needs, calculate your BMR. Learn more about how to calculate your daily requirement for calories and BMR here. Once you know your BMR, you can use the Harris Benedict Equation to determine your caloric intake. It takes into account your BMR and how active of a lifestyle you have. The goal of all this is to know how many calories you need to maintain your weight. Once you know how many calories you need, you can increase this by 15% to gain weight. I weigh 200 pounds and for protein intake 1.5 x200 is 300 for protein a day. And 300×2 is 600 carvs a day. Think it is too many carbs? Yes, it sounds like too much. Don’t double your carbs unless you really need the energy. Take a look at what Hugh Jackman’s trainer for The Wolverine says about diet here. ZMA-This is something that Hugh Jackman’s trainer has his clients take. It helps you sleep like a baby and recover faster. As you can see, I really like the Animal Brand. This is because it doesn’t have sucralose, which can screw with your fat-burning hormones. Most powders you buy have sucralose on the label, so I’m starting to shy away from anything that isn’t in pill form. With the Animal Brand, everything is in pill form, so your body isn’t getting all those fake sweeteners. Creatine is great! Animal Pump and other Pre-workouts have creatine in them. That’s how I get mine. Feel free to take Animal Pump or get creatine in pure form. Follow the directions on the label to cycle it effectively. You got ZMA? Nice! You’ll be sleeping like a baby in no time! Let me know how it works for you. Thnx for your replys Chris and for the post. Call me crazy but does zma affect your dreams in anyway????? Haha yes! Deep sleep equals crazy dreams. It’s wonderful how taking something that replenishes the vitamins you lose during tough workouts can help you so much. I can always sleep well, which allows the body to recover from tough workouts, when taking ZMA. Hey Chris, if I were to follow one of the Rock’s routines, since he does cardio before he lifts would it be dangerous to use a pre-workout at the time of cardio? I’m thinking in terms of getting your heart rate to ridiculously high because of the pre-workout and the caffeine etc etc. if you could clear that up for me, thanks! I suggest doing the opposite. Lifting then doing cardio. The pre-workout gives you more benefit while lifting anyway. Don’t worry too much about your heart rate. Just have fun, and run at a decent pace. The Rock aims for 130, and he’s in his 40’s. So, if your heart rate is a little high, that’s ok. I worried about that too, but lifting first eased my concerns. Yes, this workout and diet are all about gaining muscle mass. Working out hard each day, followed by a diet tailored toward recovery and protein, is the key. Does he only do the first set of 15 reps for arms or is it for all muscle groups? Just arms. The idea is that the biceps and triceps are small muscles. According to The Rock’s trainer, you want to get as much blood as you can into them, in order to get them bigger. I’m sure he varied it up from time to time. But, these are the major exercises he posted on Twitter/Instagram. I suggest eating real foods instead of a pH balancer. Follow the advice here on Balancing Act: Why pH is Crucial to Health. In it, the doctor talks about eating things like spinach, sweet potatoes, almonds, etc. Also, try to make sure to drink alkaline water, or at least water that has gone through reverse osmosis. I don't know about serm, but this page my help you may want to look up post-cycle therapy. Gotcha, try the 3 things I mentioned and let me know how it goes. I have a question regarding the diet…. Why baked potato instead of a sweet potato? And why white rice instead of brown rice? Wouldn’t carbs that are more complex be even better for you? The Rock stated that for Hercules, he needed extra energy. So, he went with white over dark carbs. If you’re performing the 12 Labors of Hercules, filming fight scenes all day long, or working outdoors, then white carbs are a fine choice. But, in general you’re absolutely right. You want to stick to dark carbs. Sweet potatoes and brown rice are much better for you. The Rock’s diet usually consists of these darker carbs. It’s just that, for this particular movie, he needed more carbs, more quickly. You can view the Rock’s diet with darker carbs by looking up “The Rock Workout: How Dwayne Johnson Gets His Pump.” That has the better diet that most of us should use. All data points to that except for the high reps. Yes, it’s sarcoplasmic hypertrophy to be exact. This is where your muscles, and the support cells around them, all get bigger. Hey Chris. I’m undecided which workout I should do. Both the Hercules and the Pain and Gain look like great workouts! You stated that the Hercules workout he did was to prepare for the 12 labors of Hercules so he works out his legs more. I feel my legs are already to where I want them to be. So would you recommend the Pain and Gain workout as opposed to the Hercules workout? Is the intensity of one greater than the other? Or are they about the same? I like both, but prefer the Pain & Gain. If you want to the Hercules workout, you can skip that second leg day. Try them both out when you get the chance. But, I would start with the other one first. There’s something about that workout that really puts the mass on your body. Of course, nutrition is really important to both workouts. The Pain & Gain diet is better. The Hercules diet is what you need if you’re working out, then filming actions scenes all day. So, follow the diet information closely and tailor it to your caloric needs. For ryan reynolds workout for blade Are u sure it is his workout and if it is I want to gain muscle mass is this workout for me? Yes, and that workout is if you’re really serious about abs. Remember that diet is more important than any fitness routine when it comes to gaining muscle mass or shredding your abs. There may be some discrepancies between what you read in magazines, and what you see here. I will always defer to Bodybuilding, Men’s Health, and other magazines, as they’re where I source the majority of these workouts. That is, unless I have a primary source that says otherwise. The Rock workout here was built based on everything he said on Twitter/Instagram. I wanted to wait until after Hercules came out (to have access to more secondary sources), but there was so much popular demand + so many posts coming in on Twitter/Instagram from The Rock. I decided to compile the workout using those sources. There were a few things he didn’t mention, so I used the Pain & Gain workout routine as a placeholder until I got better information. I will continue to review the workout information, as we get more sources. In fact, I may create another workout, based on the fact that The Rock frequently changes his workouts, and is so active posting them on Twitter/Instagram. Stay tuned! I focus on searching for every primary and secondary source that I can find. I’m usually never satisfied until I have thoroughly exhausted my search. This is my “competitive advantage.” Digging deeper to find everything I can for each celebrity workout. I find that primary sources are a better source than magazines for workout routines. A primary source would either be the actor or the actor’s trainer showing us details about the workout. For the Hercules workout, The Rock posted a ton of Twitter/Instagram videos. Make sure to click the links as The Rock is not only funny, but very motivating. I will always defer to those primary sources over what you see in the magazines. Often times, I find that the magazines “water down” the workouts into a simpler form. Maybe they think the reader will move on, if the workout is too complex? For example, The Rock likes to use Pyramid routines and Supersets in his workouts. Although there is no mention at Bodybuilding.com, I link to a Rock Instagram showing how he starts his chest routine. Again, the magazines say he does chest flys 3rd (which may be totally accurate at some point in time), but there is also this Instagram of The Rock talking about chest flys as a finisher. Again, I will defer to what The Rock actually posts over anything else. Also, it’s important to remember that The Rock Hercules changed from time to time. No one wants to plateau. So, you may see different versions of the Rock workout that are snapshots from different periods of time. Looking at The Rock Instagram posts, you will find him occasionally talking about supersets that will really work your tail off. I focused on making sure to include those supersets in the workout. For example, The Rock posted his leg workout here, but you won’t find that in any magazine. The magazines may shy away from talking about pyramids and supersets. Newspapers/magazines tend to write to readers using a 5th grade reading level. Maybe that has something to do with their simplicity? Still, secondary sources play a very important role in getting us a ton of information. Just realize that sometimes I dig deeper by sourcing as much as I can from what the actor and trainer say about the workout. I trust you can see the importance–and value–in this. You mentioned trying the Pain & Gain workout, too. I do like the The Rock Pain & Gain Workout more. Mostly, because it is more compact, and you don’t do legs 2x per week. I hate doing legs twice per week. It affects my cardio routine too much. But, The Rock thought that Hercules should have big legs because of the “12 Labors” he had to do. So he focused on doing 2 leg workouts per week. If you don’t have the same goals, skip the Saturday workout. Striving for accuracy, I use of both primary and secondary sources to complete these workouts. I’m never satisfied with just one source. I hope going the extra mile for you pays off. Making people Stronger is my goal, and I wish you the Best of Luck! I was just curious if you have been comparing your workout to the ones he has been posting on facebook. Do you think those are simplified for the public as well? I just started working out again after a year of school, family, and full time work. I did the pain and gain work out last year and saw a very good increase in strength and just taking protein. I did switch the hydrowhey at the end of last summer and will have more time to notice its effects this summer better. Right now its my first week back and I am starting really light as my muscles go through the F u sore stages of adjustment and hope to continue this as my school load may be lighter next year. I can only workout in the afternoons and take the hydrowhey right after. I was thinking about adding the preworkout supplement Animal Pump or Cellucor C4 Extreme. I am looking to get stronger and lose a little weight but am okay with not being ripped. Does that have a tendency to keep you up at night? So far i like the legs workout in this one but prefer the pain and gain workout for other parts but its only been a week and I love being back. I do feel so much more energy mentally and just starting healing through the first week F U stages of soreness…What is a good substitute for the pull ups? I cant do them on a normal bar? I do not do the smith lunges either but just lunges holding the dumbells. My back does not do well with bars. Yes, the workouts he’s posting look like the simplified version. They’re great for people who aren’t sure about supersets, pyramids and that sort of thing…It’s up to each person, whether or not they want to do the advanced moves. It’s good to start simple. Then, add in supersets when you’re looking for something more. I’ll be doing a post this week on the simpler, #teamHercules style of his workouts. The Pain and Gain workout is amazing. What I learned from it is how important diet is to your workout. I, too, used to always get those “F u sore” stages. Increasing your intake of lean protein, fibrous vegetables and healthy fats will make the pain go away. I went from always being sore after a workout, to almost never (with the same intensity). Making your meals ahead of time, and storing them, is the only I’ve found to be successful with the diet aspect. I used to use Cellucor C4 Extreme. I switched to Animal Pump and found it better. Cellucor really makes you feel motivated, due to the caffeine. But with Animal Pump, you can “take out the red pill” (advice from The Wolverine’s trainer). Why would you want to take the caffeine out of your pre-workout? This is because creatine shouldn’t be taken with caffeine (the science is showing if you take both together most of the creatine remains intracellular, instead of going into your cells). For this reason, I would opt for Animal Pump. Make sure to read the directions, because you want to cycle creatine, not taking it for longer than directed. Most gyms have an assisted Pull-up machine. This machine adds weight to help you make the exercise easier. It’s smart to make the adjustments you’re making. I stay away from most bars, as well! I noticed that the Rock posted a different rep range for all of his lifts on his twitter page. If you look through his pictures he has a few of his workout posted, and it looks like the highest rep range he uses is 15. Yes, he varies the reps and exercises from time to time. All the rep ranges on this page were taken from individual tweets/posts/instagrams. Most of them are linked above. Changing things up is important, in order to avoid plateau when bodybuilding. Also, it’s important to keep in mind that for increasing size, science tells us that 8-12 reps is the optimal rep range. The Rock usually stays within this rep range. I’ve added a new workout, using The Rock’s most recent posts about #TeamHercules here. Is the single leg-press standing w/ dumbbells the same thing as a dumbbell lunge? I tried to look for that exercise on the internet but I’ve had no luck. Thanks. We’re in luck, because The Rock just released his newest leg workout. Instead of this exercise, he says he does one-legged Hack Squats. I’ve replaced the single leg press w/ dumbbells with Hack Squat. There is a link in the article to how to do a Hack Squat. Thanks! Sorry. I had another question. I’m kind of confused on the workout for legs on Tuesday. It shows two different workouts for that day with different exercises and rep ranges. I was wondering which one was more accurate. The first one(Tuesday workout) or the second one(Detailed Tutorials of the Tuesday workout). Thanks. I love questions, please ask anytime something is unclear. For now, go with the “detailed tutorials.” I will update the table later today. The table reflects a tweet from The Rock a few months ago. But, I am finding it easier to use his recent posts, as we don’t have to wonder what a “one legged press with dumbbells means.” We now know that he use a Hack Squat Machine to complement this exercise. I’ll try to have the table updated by end of day today. Thanks and Good Luck! Yes, there was an update to the legs workout. I updated it based on the latest Instagram post The Rock made. It’s likely that over the 6 months The Rock trained, he varied his workout. I’m just using the latest data he has provided. Do you do cardio and weights in the same session? Preferably, you want to do cardio first thing in the morning on an empty stomach. Then, you want to eat, before going back for weight training. If you don’t have time for just cardio, then it’s better to eat before cardio/weight training. I looked through some of the comments and was wondering what you thought about doing squats for the first leg day and leg press for the second. I know he had an old injury so he stayed away from squatting. Or just doing them both and have a heavy and a “light” day like he did. Updated: The Team Hercules Workout Here. Can you please tell me more and explain me about the weights what “The Rock” using in his arm days? I mean the biceps exercises only. 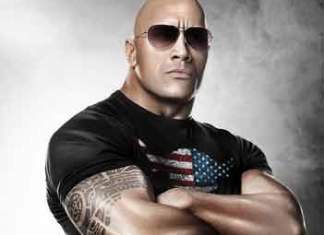 The fundamental idea behind “The Rock’s” arm workout is to understand that the biceps are a small muscle. This means that they get bigger by doing “lots of reps,” rather than going heavy. If you go heavy, your biceps give out after only a few sets. Once you understand the need to do a lot of reps, start with a set of dumbbell bicep curls with very light weight. Then, jump up to a set that challenges your biceps, but only to a point where you can easily complete the set. The key is to do lots of bicep reps, but not at heavy weight. Also, click the link on any specific exercise to see the exercise explained in further detail. Let me know if you need anything else explained in further detail. Love the posts of the workout. I can't seem to navigate to get the full workout split of the Hercules workout on this site. I got the exercises from the magazine, but I would like the full split of your article more. The magazine workouts are different. Im just coming off ACL surgery so this workout or the Pain and Gain workout seem like it would get me on track. So far I got the chest workout on Mondays and legs on Tuesday. What about the rest of the week? ( back, shoulders, arms, abs) Thanks in advance. I'm in the process of a code fix for the pagination. In the mean time, you can add a "/2" "/3" etc., to the URL in the browser, at the top of the page. That should get you through the pages, while I squash this bug. You're missing Wednesday, biceps & triceps, then the rest of the week repeats itself. Due to your injury, I'd probably start out with the Hercules workout. However, once you try the Pain & Gain workout, you won't want to try anything else. That's the best workout I've ever done (though the Magic Mike Workout: How Joe Manganiello Got A Six-Pack is close). You may want to go straight to Pain & Gain, but skip leg day to do the rehab you need and the back work, instead. And remember this, The Rock tore a muscle, had surgery, and was back in the gym quickly, so use that as inspiration if you can. Nutrition is key, check that page when you can. Good Luck! Hey Chris, can you tell me is there a difference in objective between the "Rock Workout" & the "Hercules Workout"? Is one better than The other? Is one built to gain more muscle or get lean? These are both major muscle-building workouts, so there is no major difference in objective. The Rock Workout focuses more on upper body, especially the chest & arms. The Hercules workout is more about the lower body. When The Rock envisioned himself as Hercules, he decided that pulling oxen around all day must mean that Hercules had big, strong legs. So, do the Hercules workout is that's your focus. The other key difference, though, lies in the diet. You don't want to eat as much as The Rock, but you do want to make sure you're at least digesting protein before, during and after your workout. For Pain & Gain, The Rock ate brown rice for more protein and less carbs. For Hercules, he was weight training all morning and sword-fighting all afternoon. He realized he had to increase carbs to keep his energy levels up. So, for Hercules, The Rock ate white rice for higher carbs/energy. If you find yourself low on energy, use white rice. Otherwise, stick to brown rice as a protein source. I'm 5'8, 30yr old, and 230lbs, with a stocky build; I definitely got a lot of weight to lose, but I want to gain muscle as well. Which Rock workout would you recommend to start with? I suggest to start out with The Rock Workout (more of an upper body focus) then switch to the Hercules workout after a couple months. Added more detail about this to your previous question. Thank you so much for the reply. All is the info is very helpful! I'll plan to keep u updated with my progress. Thank u again! Your Awesome for helping us out! This workout is on the next level! I just wonder of what supplements does The Rock take to help him achieve this? I don’t think I can do what the Rock does. He’s a pro. Interesting read! I don’t think I can be like the Rock. I mean, he’s the Rock. He’s been buffed for, God knows, many years. This is truly an insane workout! Great workout plan! I will try this step by step, and let’s if will work with me. Thanks! Great post! Thanks for sharing this, Chris. I just want to ask what type of workout is best for a female overweight person who is just new to the world of ‘exercises’ and doesn’t have time to go to the gym? With several workout routines available online, it’s kind of difficult to choose which works well for you and which body part should you first work on. Hi Chris! Nice post you got there! I am a female and has recently started going to the gym, my coach asked me to do cardio first while slowly trying to build muscle. Can you please advice as to how many pounds should I start lifting first and what would be the next steps? Thanks! Man this is a lot of hard work. People think these celebrities have it easy, but they put on a lot of work behind the cameras. They really work for their money! This information is very useful. Eating the right amount of foods rich in amino acids can help you lose weight and build more protein in the body.